Our range of ophthalmic equipment are designed to meet all the requirements. They are recognized for delievering best fucntionality. We provide the equipment at market leading rates. 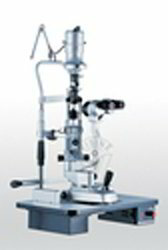 Slit Lamp General is often used as part of a routine eye exam. It is used to detect disorders in the front of the eye, such as clouding of the lens (cataracts), glaucoma, or abnormalities of the cornea. It provides a magnified, three-dimensional view of the structures within the eye. Optional accessories are listed as separate items in "Accessories" section under products, there brought separately. Slit Lamp Max features are computer designed, multi-coated optics that provide unsurpassed viewing of ocular structures, the operator's field of view is maximized for precise visualization of ocular defects at the periphery. 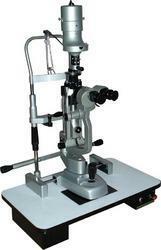 Looking for Ophthalmic Equipment ?